Tackling the On-Demand Economy with Supply Chain Digitization » TPI » Experts in wireless, barcode, RFID and custom software solutions. It’s no secret that manufacturers, retailers, and logistics firms are all grappling with the challenges of how to meet the growing needs of the on-demand economy. Customers now demand faster, more accurate fulfillment than ever before, and industries must adapt quickly to meet those requirements. In fact, in Zebra’s 2018 Future of Fulfillment Vision Study, 89% of firms agreed that e-commerce is driving the need for faster delivery. Moreover, 97% of firms said they’re either already trying to operate at an omnichannel level by serving customers through both online and offline channels, or they have an omnichannel conversion plan in process. In manufacturing, this includes companies producing computers and electronics, fashion and apparel, pharmaceuticals, food and beverage, and consumer-packaged goods. Among manufacturers, nearly 90% plan to offer options by 2023 that include ship to home, buying online with in-store or third-party location pickups, in-store returns of online orders, and in-store purchases with returns to the manufacturer by mail. However, many companies still have a long way to go to achieve these capabilities. Only 37% to 55% of manufacturers currently offer these delivery and customer service options. Adding to the challenge is the fact that 55% of organizations still use pen and paper to manage omnichannel logistics, with inventory accuracy that averages just 66%. To close the gaps, manufacturers will need to reinvent and optimize their operations, and digitization will be the solution, much as digital technologies and connectivity created the on-demand economy and these related challenges in the first place. By using the same core mobile technologies, connectivity, and software that enable online shopping, companies can automate their logistics process, increase fulfillment speed and accuracy, and increase profitability—all while meeting customer demands. For example, only 44% of supply chains are currently using wearable mobile computers, only 55% to 59% are using tablets or barcode scanners, and only 64% are using barcode scanners to help automate logistics inventory and workflows. But those numbers are expected to reach 93% to 98% over the next 10 years. During that span, digitization will extend far beyond tracking products and fulfilling orders, permeating many other areas of logistics. In fact, 96% to 98% of companies say they plan to use digital solutions for demand forecast planning, labor management, freight documentation, warehouse management, and route optimization. Digitization will play out dramatically over the next few years, and it’s a trend we’ll definitely see on display at the upcoming WERC conference for logistics professionals, April 28 through May 1 in Columbus, Ohio. 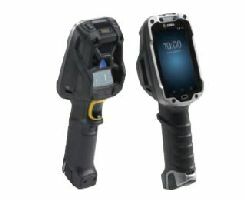 These include Zebra’s groundbreaking TC8000 touch mobile computer, which combines Android mobile computing with ergonomic barcode scanning to enable 14% more warehouse productivity per worker, with 40% faster data entry and 60% fewer errors. 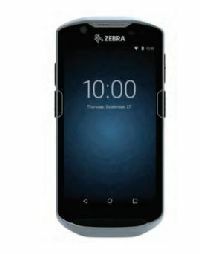 Other Zebra products will include Zebra’s TC57 smartphone-style Android touch computer, which is great for mobilizing and digitizing customer service and field operations. We’ll also be available to answer questions and provide expert advice on how to develop and deploy a winning fulfillment strategy. We can provide insights on integrating SAP, Oracle, JD Edwards or other ERP systems with mobile technologies and custom mobile apps to automate and streamline all your fulfillment processes. While at WERC plan to attend our educational learning pod on Tuesday April 30th, from 1pm-1:30pm. Where we will discuss Mobile Apps in the SAP Warehouse: Tools and Tactics for Faster and Easier Deployment. During development, go-live and daily use of mobile apps over wireless networks, there are two common set-backs: time and connectivity issues. Meanwhile, troubleshooting and root cause analysis of applications, networks and mobile computers further delay roll-outs and decrease productivity. Learn how to simplify and speed up this process while accessing a critical data set to hold IT vendors accountable and limit deployment risks. To learn more, visit us at booth #506 at the WERC 2019 conference, or contact us now to schedule a free consultation at your convenience.